At first glance, you might mistake the Ghost drone for the DJI Phantom 2. 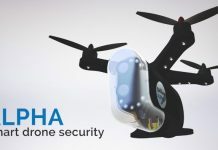 But this Indiegogo project aims to make drones more accessible and easier to fly. Designed with filmmakers and aerial photographers in mind, Ghost takes the guesswork out of drone flying, so you can focus on capturing the perfect shot. Let’s take a look at the makers behind the Ghost and its features to see if it lives up to the hype. What is the Ghost Drone? The Ghost Drone was developed by Ehang, a team of international flight enthusiasts. The team recognized that most drones are really difficult to fly, they crash easily, and they can be expensive. The Ghost Drone is the solution to these problems. 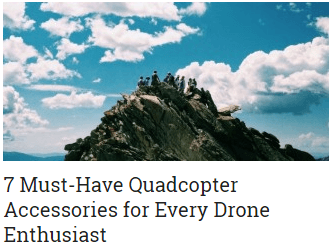 It allows enthusiasts of all experience levels to enjoy drone flying. 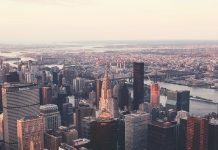 And because it’s so easy to fly, filmmakers with no flight experience can still use their drone to capture amazing footage from high up in the sky. Ghost is controlled by an intuitive smartphone app, which is why it’s so easy to fly. It comes pre-assembled, so you can start flying right away. Check Out: Parrot Jumping Sumo Minidrone: You Will Love It! The auto-follow mode and auto return are two features that we really love. In auto-follow mode, your drone will tag along with you wherever you go. So, if you’re biking, snowboarding, skiing or doing whatever it is you love, Ghost will follow you around and capture every moment of your adventure. And when you’re ready to call it a day, the auto return feature will ensure that your drone lands safely right where it took off. Forget having to lug around a big bulky radio controller, Ghost lets you control your drone using your smartphone. And the app couldn’t make flying any easier. In Auto Mode, all you have to do is tap your finger on the map, and the drone will automatically fly to that point. While you can ditch the big radio controller, you’ll still need to carry around the drone’s G-Box. The G-Box communicates between your smartphone and the drone. Part of what makes the Ghost so easy to fly is the one-click commands. Hovering, takeoff and landing are already programmed for you. The app will even let you know when the battery is running low, so you know when it’s time to pack up and call it a day. 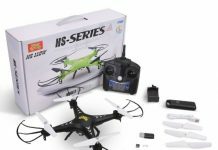 All of these intuitive features take away the focus of controlling the drone and allow you to concentrate on getting that perfect shot. Drone, camera and micro controls are also available through the app. 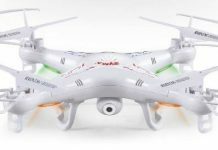 The drone controls allow you to adjust the orientation and the height of Ghost in a simple way. Swipe the vertical bar up or down to control the altitude. Swipe the horizontal bar right or left to swivel your camera. And there are even more controls for your camera. Just like the drone’s controls, a vertical bar allows you to tilt your camera up or down. A horizontal bar allows you to tilt right or left. Once your piloting skills have improved, you can use the micro control to further adjust the position, height and angle of your drone for more precise shots. With so many drones out there, it’s hard for developers to really stand out in the crowd. 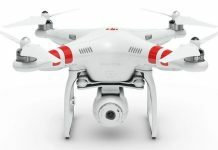 What Ghost does is give users a drone that’s reasonably priced, easy to fly and captures great quality footage. The auto-follow feature is just the icing on the cake. 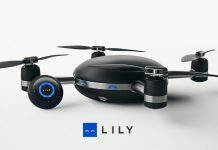 It’s a drone for anyone and everyone. Because the drone is still in the development phase, no one in the community has really had a chance to fly the Ghost first-hand. But judging from the footage in the promotional videos, it’s safe to say that this is going to be a really exciting addition to the industry. And if the Indiegogo prices are any indication of the retail price, the Ghost will be a really affordable option. Right now, you can snag a Ghost without a gimbal for just $375. If you already have a GoPro camera, you can get your hands on this drone with a gimbal for just $599. This seems extremely easy to fly! I want them to build this faster!!! Man, I think even a 5 year old child can easily fly this and take pictures! 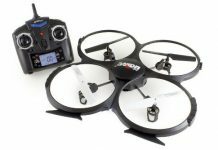 $600 is not that much for what the Ghost drone can do. I’m very happy there are people out there thinking of creating more affordable drones that are very easy to control. Lots of drones go well beyond that in price, and don’t deliver nearly half as many features. 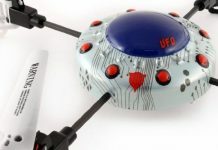 The Ghost Drone looks like a great deal for the money. Love Ghost’s one touch commands and would like to see this for every drone from now one! If you want you can also include a radio controller but just as an add-on. 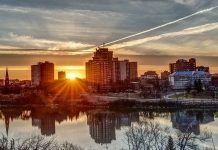 Make it easy for anyone to be able to fly a drone without hitting a tree or a building and without having to constantly look at the radio controller instead of watching the video or taking pictures! There is an Auto Mode? OMG, I’m in love with Ghost! Can’t wait to get one! The control distance could be bigger, but I’m not complaining. 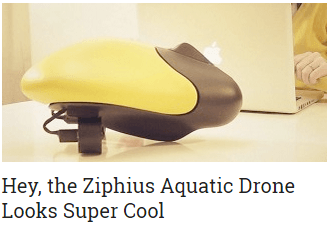 I love that its water resistant because I’m afraid my drone will fall in the water. Also like the auto-follow mode and the night mode. Ooh, I didn’t see that detail about the control distance, that could get troublesome. I guess everything good has a catch though, doesn’t it? Okay, now this is what I call an amazing invention! It is not only easy to operate, but it can also be controlled my smart phone? God that’s awesome!! The images it captured look good too! I now know what I want for Christmas! This is INSANELY amazing! The camera footage looks phenomenal! All the options to make this drone better, smarter, stronger… I have to have one. This is the kind of drone I don’t mind spending money on. The Ghost blows my 4 drones out of the water with a sneeze! I must have one. Love this!! 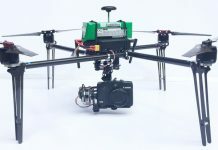 I can’t wait until I’m out shooting drone footage of my own to post 🙂 I’m so glad that crowdfunding avenues like Indiegogo exist so that cool designs like this can get into the market faster! Ghost is now at the top of my list. This is amazing. The automatic mode, the footage it captures. It is so even and crisp. This sounds like a great option for anyone who likes to go out on adventures. All that and it can be controlled easily from your smart phone. What is not to love!? 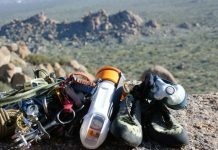 One thing that’s especially great for travelers is that there’s no need to pack or keep track of another remote! I couldn’t tell you how many things like that I’ve left behind in hotel rooms. This sounds like exactly what I need. I love the idea of flying and making areal films, but I just do not have the talent for figuring out remotes. With the takeoff and landing programmed in, it seems like I’m a lot less likely to crash.